While rainfall in Arlington has postponed tonight's Game 2 ALCS matchup of the Tigers and Rangers, the skies are clear here in New York City. If the Yankees had beat the Tigers in Game 5 of the ALDS, the Rangers would have been in town for this game of the series. As it turns out, New York will not taste this particular flavor of the postseason and I'm still a little bitter over Texas beating them in this very round of the playoffs last year. It was annoying to see so many Rangers caps around town after they clinched the American League championship especially because they were facing the Giants, who were my hometown team for all those years I lived in the San Francisco Bay Area. 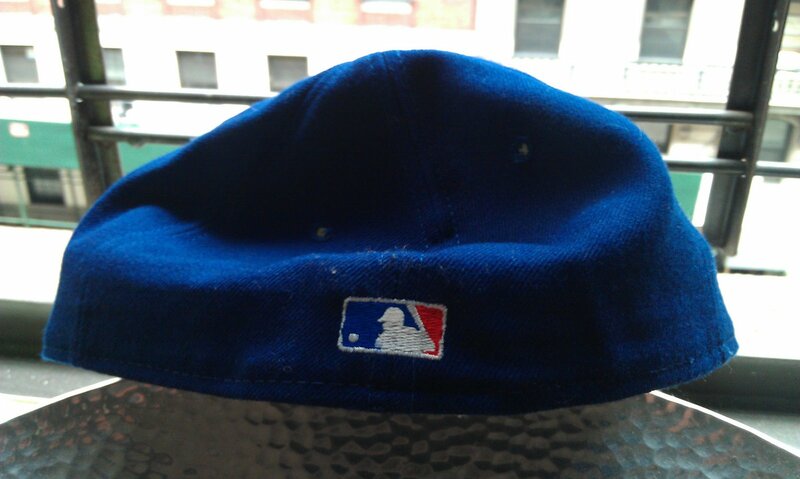 I was hoping to see the Giants play the Yankees in the World Series, but I'm happy that my beloved Giants won it all nonetheless. When I saw this Rangers cap was up for sale as a "Buy It Now" option on eBay for next to nothing, I couldn't resist the classic logo design. It's unfortunate that the Authentic Diamond Collection tag has somehow been ripped out, but it's in pristine condition otherwise so I jumped on the chance to call this piece of history my own. 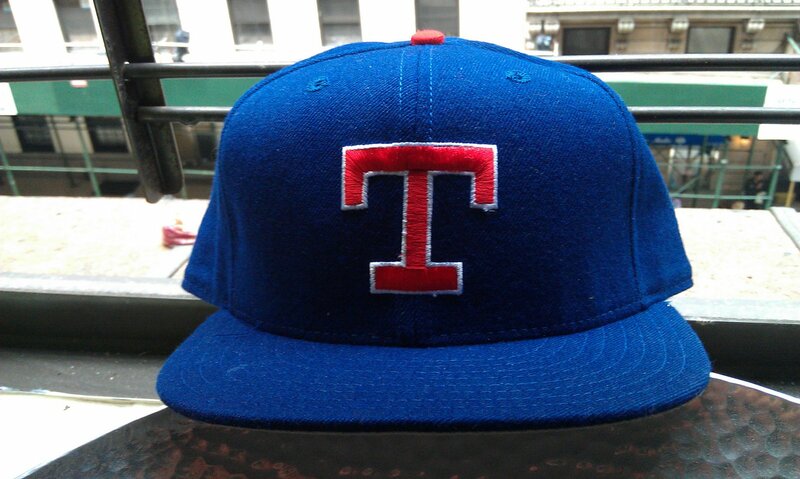 It's not an "old" cap by any means, but it does remind me of that memorable Texas Rangers roster of 1993. The team was full of sluggers such as Juan Gonzalez, Ivan Rodriguez, Rafael Palmeiro and the once-great Jose Canseco, who even pitched an inning for the Rangers wearing this cap. 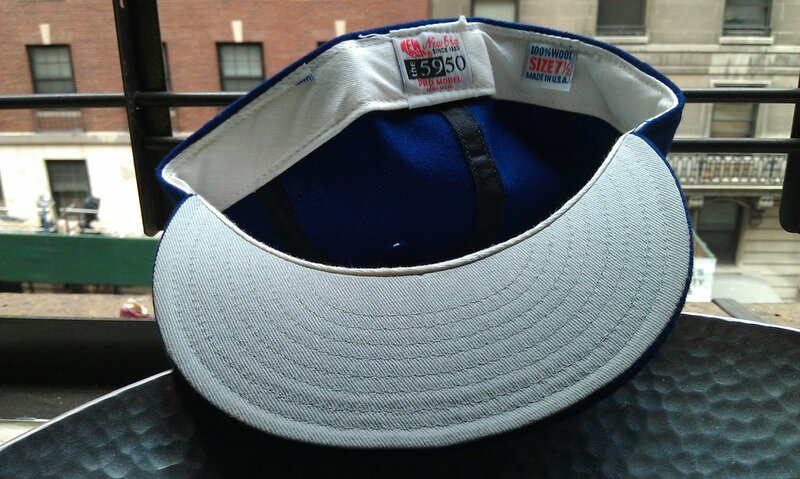 Most notably though, is that this is the cap that Nolan Ryan wore for his last season pitching in the major leagues. So while I'm not a Texas Rangers fan (nor will I ever be) I do appreciate its historical value.